Legendary band, Jethro Tull celebrate with their greek fans their 50th anniversary, on a magical night, on Saturday June 15th, at the historical Odeon of Herodes Atticus. A night filled with nostalgia and, of course, music! Combining elements of blues, rock, hard rock, jazz and progressive with folk and ethnic influences, the band from Luton begun its music experiments in the late 1960s. Their eccentric, energetic appearance at the classic Marquee Club in London brought Jethro Tull in the centre of a music scene that was constantly evolving in the UK and worldwide, the world of hard music! Jethro Tull's leading, multi-talented, artistic genius, Ian Anderson, was the first musician to include the flute in rock music, making it, at the same time, the trademark of the band. Their first record-breaking years are characterised by their experiments in different music genres in order to find those most fitted to their unique temperament. Their blues debut, This Was (1968) is succeeded by Stand Up (1969) which brings the band to different music paths. Their following album, Benefit (1970) paves the way for their mangnum opus, Aqualung (1971). This is when the genius of this band is broadly recognised and positions Tull among the greatest bands, as true representatives of progressive rock. Every song reaches perfection, while each one of the characters and every life story narrated stuns listeners from the first time. In addition to Aqualung, Locomotive Breath and Hymn 43 quickly became hymns of not only a generation, but the international rock music history! In the years to come, Jethro Tull's incredible creative ability continues with increasingly complex rhythms, new unexplored sounds, unique releases, international awards and millions of sales worldwide. During the five decades of their career, they have had more than 3,000 shows in 40 countries. Steve Harris, Bruce Dickinson, Eddie Vedder, Nick Cave, John Myung, Marcus Siepen, Joe Bonamassa, Geddy Lee, are some of those who have recognised Jethro Tull as their musical influence, while some of them have covered numerous of their greatest hits. In 2003, Jethro Tull performed for the first time at the Odeon of Herodes Atticus, in a historic sold out performance. 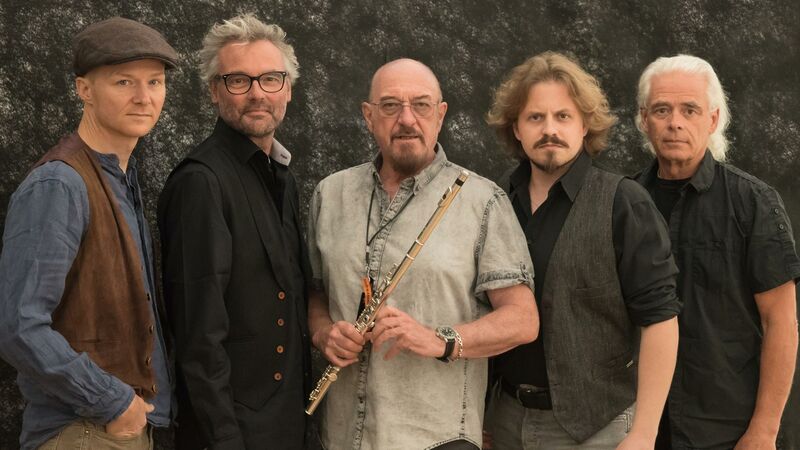 On Saturday, June 15th, sixteen years from the unforgettable first time, Ian Anderson and Jethro Tull return to the foothills of the Acropolis to celebrate their 50 years together and promise an enchanting evening when we'll get to listen to all these songs that have marked our lives!